About the Book: Celestine North lives a perfect life. She's a model daughter and sister, she's well-liked by her classmates and teachers, and she's dating the impossibly charming Art Crevan. But then Celestine encounters a situation where she makes an instinctive decision. She breaks a rule. And now faces life-changing repercussions. She could be imprisoned. She could be branded. She could be found FLAWED. 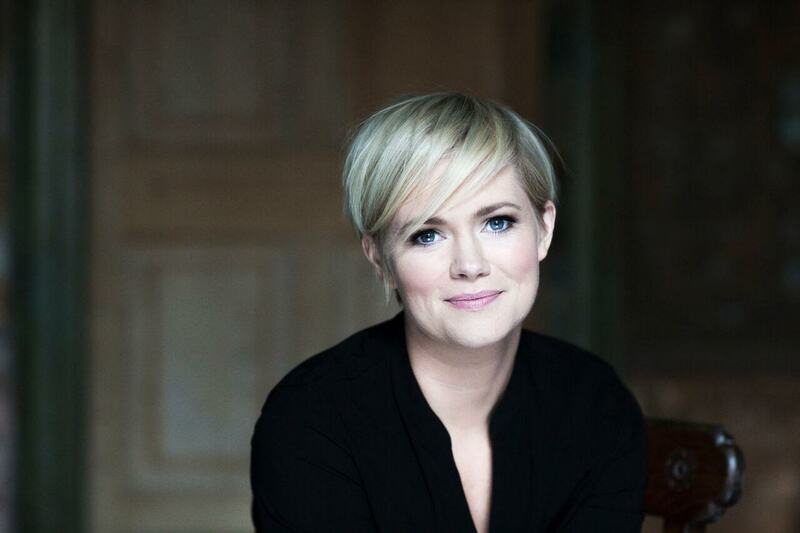 In her breathtaking young adult debut, bestselling author Cecelia Ahern depicts a society where obedience is paramount and rebellion is punished. And where one young woman decides to take a stand that could cost her-everything. I am so excited to be participating in the blog tour for Flawed, Cecelia Ahern's YA debut. Cecelia is one of my favorite authors, so of course I jumped at the chance to ask her a few questions about her new book! You've published many novels, but this is your first for YA. What inspired you to make the jump to young adult fiction? 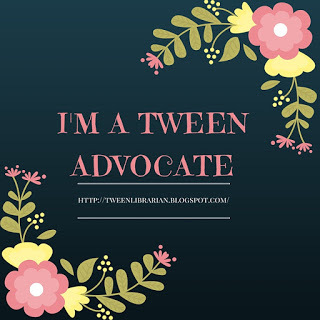 Is writing for YA different than writing for adults? I had no grand plan to write YA, what I did and what I always do is to write whatever story is most powerful in my head at the time. My novel THE BOOK OF TOMORROW was seen as a crossover book for YA and adult and I have had younger readers ever since I wrote PS I Love You so I didn't feel like I was taking a great leap or that I had to adjust my writing. What was different was the concept of the story, the pacy thriller like feel, the fact that it is saying a lot about the society that we are living in while maintaining the same feel as my other novels. I didn't have to adjust anything about my writing, I just got into the head of my character Celestine and saw the world from her eyes. I wrote the first draft in 6 weeks, it just flowed from me, I wrote it with passion and rage and with so much heart. This book had to be written, I had no choice in the matter! My heart was pounding the entire time, it was an overwhelming story to write from start to finish. Is there anything in your dystopian world that was inspired by current events? What gave you the idea to create this word? I was inspired by the fact I believe we live in a judgemental world, one that is quick to publicly shame people, to finger point and hold people accountable for their mistakes, or for their decisions that society deems to be a mistake. Society mocks and judges, and the opportunity for second chances is rare. Flawed is not set in the future, it is today, it is our modern world, contemporary society. It is everything we say and do to each other now, we already label people so I took it one step further by creating an actual morality court where The Guild and its 3 powerful judges reside. Angelina Tinder was found Flawed because she travelled to a country where Euthanasia was legal and assisted her mother's death. The Guild branded her in her home country despite the fact she carried it out legally. This mirrors the abortion situation in Ireland where 12 women a day travel to the UK for abortions but it is illegal in Ireland. In the famous X case, the court stopped a 14 year old girl who was raped, from travelling to the UK for an abortion. Flawed at Birth children are taken from their flawed parents at birth. This is similar to aboriginal children in Australia who were forcibly removed from their parents in order to "dilute the gene pool" and we had a similar case in Ireland where children were taken from single unmarried mothers and raised in state institutions. A famous footballer who cheats on his wife is brought to a Flawed court but his wife becomes the media target as it's discussed why he cheated, whose fault it is, as I believe is the case in reality. Celestine's mother is a famous model who judges people by their appearance, as do many people. She feels she can't trust people who have any physical flaws and I fear there is a great pressure on teenagers, and all ages, to have a certain flawless appearance which is impossible & unattainable naturally. Parents are found Flawed for removing their son who has cancer from hospital and trying to find alternative methods. This is based on a real case where parents of a boy were arrested for taking him from hospital. Of course the most obvious comparison is World War 2. The Flawed rules are similar to the anti - Jewish decrees and the Penal Laws in Ireland. Everything I write about in Flawed is real. What's terrifying is reading this novel thinking how awful it would be and then realising these things have happened in our past, are happening in our present. You don't have to look far in this world to find regimes like that in Flawed. Your first book was published when you were 21. Has your writing process changed as you've published more novels? Flawed is my 13th novel and of course there's been a real growth in my writing, as you would hope for and expect over 13 years. I think they're deeper, darker and better. They are still emotional journeys about people going through difficult dark moments in their lives, with hope and humour. You've written novels, short stories, plays and for TV. What do you enjoy about writing in different formats and styles? Do you think one comes more naturally than another? Writing novels is my first love. I have such freedom in my novels to go wherever I want. I can work alone and truly create my own world. I enjoy the challenges that TV and film bring, the main difference being that they are collaborative processes and I work to a network's brief even if the network say they don't have a brief. They always do!! What were some of your favorite novels as a teen? I don't remember the book choices being as ripe and plentiful as they are now but I did read a huge amount. I don't recall YA specialised sections in book stores so I just took what appealed to me from adult shelves. Early in my teens I read Sweet Valley High, the Babysitters Club, the Famous Five, then moved on to novels like Cane River by Lalita Tademy, John Grisham. The Diary of Anne Frank is my most read novel. I also loved Under the Hawthorn Tree by Marita Conlon McKenna. One of the things I really enjoyed most about reading Flawed was how much it made me think about our current culture. How much time do we spend judging others or worrying about what people will think of us? Our culture is full of gossip, rumors, reality TV, and social media and each of those carries with it a way to form opinions on everyone and share our thoughts in a very public forum. Celestine is thrown into the middle of a battle and she's seen as the face for both sides-is she a hero for standing up to the Flawed or is she a catalyst for change? 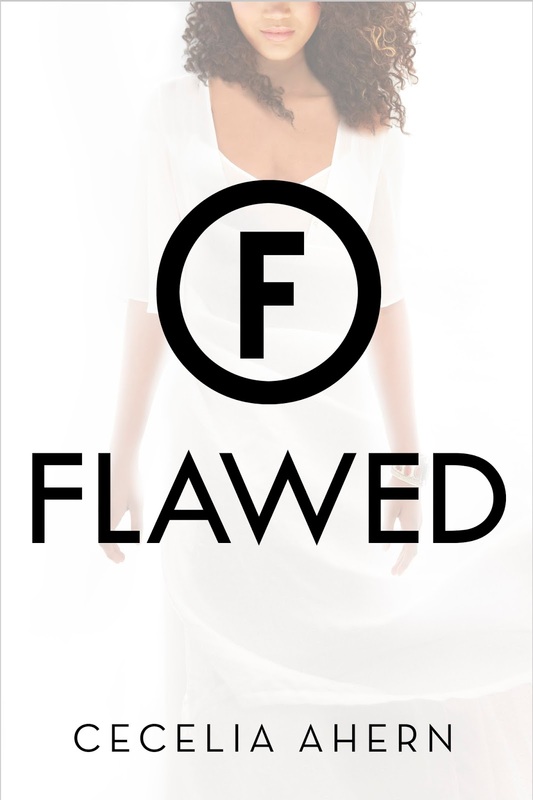 There is a lot to discuss and I think Flawed could make a great book discussion title! Thanks to Macmillan Children's Publishing Group, one lucky winner will receive a copy of Flawed as well as some swag from both sides of the pond! Follow the tour for more chances to win and to find out more about Flawed!